One of Mike’s favourite entrees is pork belly but he finds it a dish that is a miss as often as it is a hit – Urbano hit a six and he was happy. 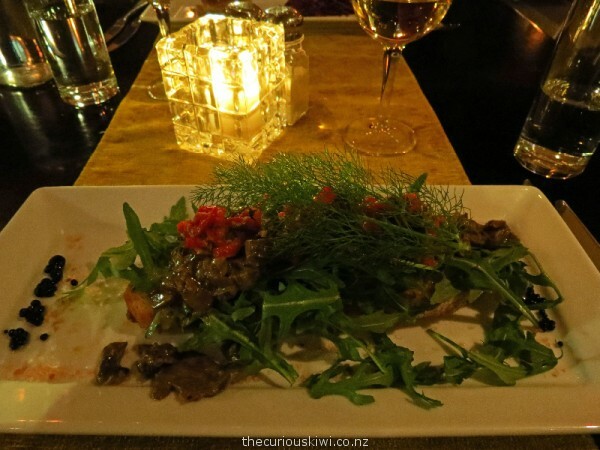 I had mushroom ragout and as well as tasting good the serving was substantial, almost a main meal in itself. For main, Mike chose the free range chicken breast with cranberry, pistachio and cream cheese stuffing, it came with a square of crunchy chicken skin – ‘yum’ he says. 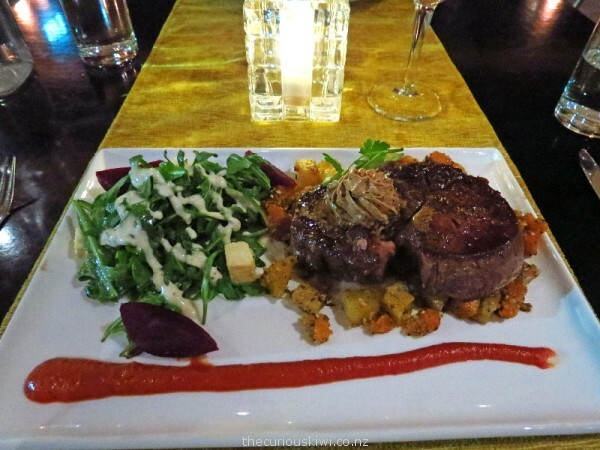 I had scotch fillet with black garlic butter, roasted veges and a feta, beetroot and rocket salad, it’s picky, but feta was scarce, the steak was tops though. Fortunately we didn’t order sides. 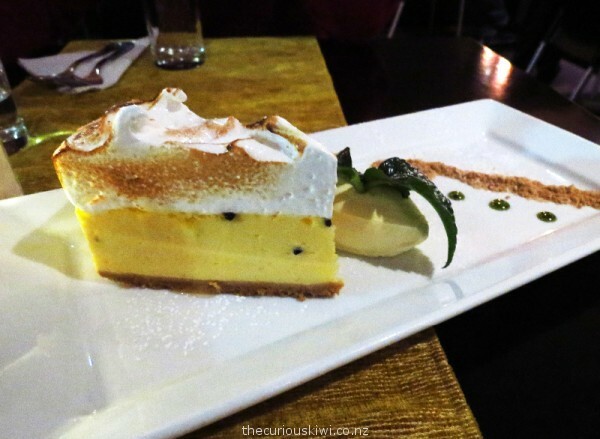 I was intrigued by the pumpkin and plum tart on the dessert menu, but given the size of our meals we settled on passionfruit meringue cheesecake to share. The cheesecake looked a bit more impressive than it tasted we thought, but we’ll be back, this time I’ll leave more room for dessert. You’ll find Urbano Bistro at 289 Fenton Street, opposite Rydges Hotel and Executive on Fenton Motel. Dinner is served Monday-Saturday (bookings recommended), and breakfast is served every day from 9am. 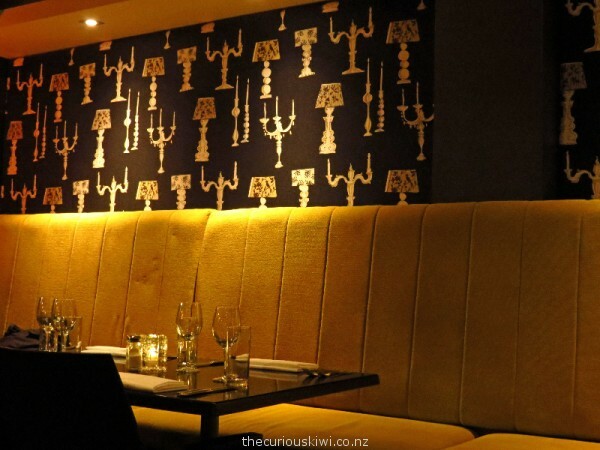 This entry was posted in Eats & Drinks, Rotorua and tagged Rotorua, Urbano Bistro by thecuriouskiwi. Bookmark the permalink.